Published on November 24, 2016 in Releases. 0 Comments Tags: Android, Apex Creative, Apex Mobile, errorsevendev, Make 4, Mobile. 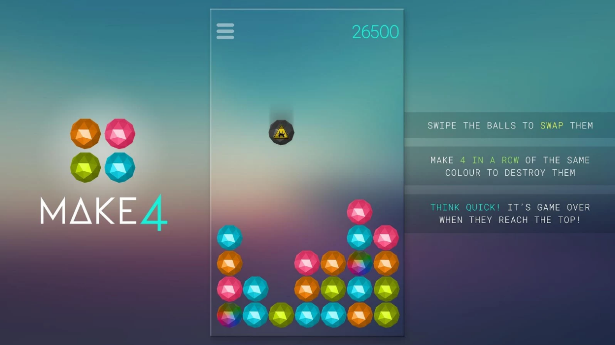 MAKE 4 is an action packed new arcade puzzle game. Different coloured balls fall from random positions at the top of the screen. Swipe the balls to swap their order, get 4 of the same colour in a row or column to destroy them. Try and keep the board as empty as possible, because when the balls reach the top, it’s game over! 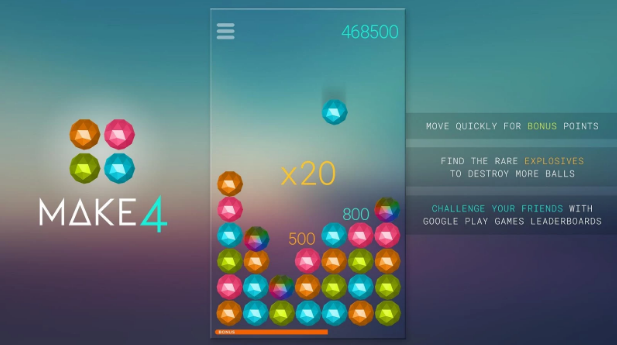 This latest piece of puzzling goodness is available for free right now on Android.